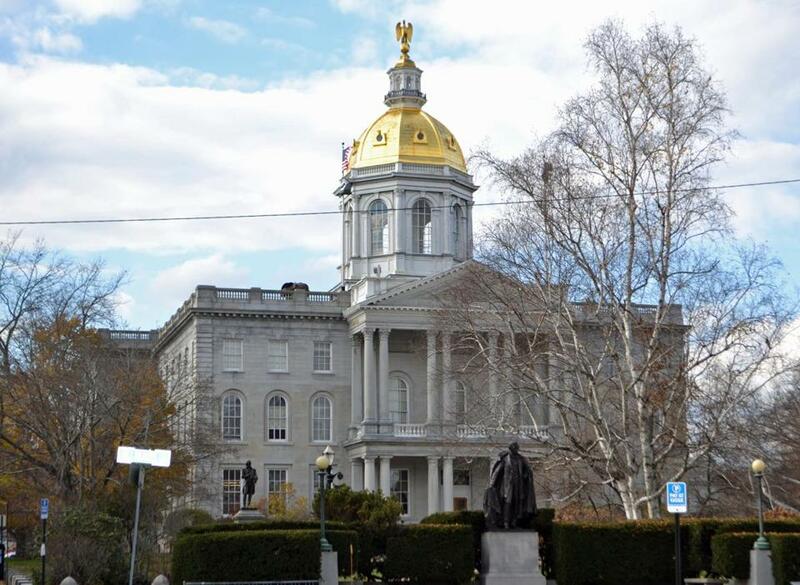 CONCORD, N.H. — For nearly a decade, New Hampshire’s Legislature has maintained an on-again, off-again relationship with side arms, removing and reinstating various rules about where lawmakers can carry guns while conducting legislative business. This week, things changed again when the Republican-led House of Representatives voted 228 to 149 to allow concealed weapons in its chambers. The measure was among the first items considered by the new Legislature, and, according to its supporters, will make the State House safer and allow members to exercise their Second Amendment rights. Guns and other weapons were first banned from the House chambers in the early 1970s, and the restriction was later extended to include the entire legislative campus. The ban was lifted in 2006 and then reinstated three years later. In 2010, Republican leadership again removed gun restrictions in the State House and its adjacent buildings. In 2012, newly elected Democratic leadership in the House instituted a partial ban on weapons, prohibiting lawmakers and others from carrying in parts of the building controlled by the House. The rule change was proposed by Representative John Burt, a Republican from Goffstown who says he often carries a concealed weapon. He said he appreciates the work of the armed police officers who patrol the legislative campus, but worries they may sometimes need help handling threats. Under the rules adopted Wednesday, anyone who is legally permitted to carry a concealed weapon may continue to do so on the House floor and adjacent rooms. Guns must remain hidden at all times. The Legislature’s gun rules were the subject of vigorous public debate in the days before the vote. Minority leader Steve Shurtleff, a Democrat from Penacook and a former supervisory deputy US marshal, said he supports the Second Amendment but fears that allowing guns would make the State House unwelcoming to visitors. He and other supporters of gun restrictions are especially concerned about the elementary school students who tour the State House almost daily when the Legislature is in session. This week’s vote makes New Hampshire one of at least seven states that permit concealed weapons in their legislative buildings, according to research conducted by the National Conference of State Legislatures in 2011. Guns are not allowed at the Massachusetts State House. New Hampshire is also one of 25 states without metal detectors in its capitol, according to the conference — something some lawmakers say makes gun bans hard to enforce.